‘Sounds amazing but I think you've got me confused with someone else,’ I say to my travel advisor when he suggests a few nights at the Malaysian resort that bills itself as Pavarotti's favourite hotel in the world. I’m planning a trip to Malaysia and have decided to splash out on a few nights of luxury, but while I assume Pavarotti's budget was as big as his waistband, my own trousers are a little smaller, and let’s face it, my pockets not quite as deep. 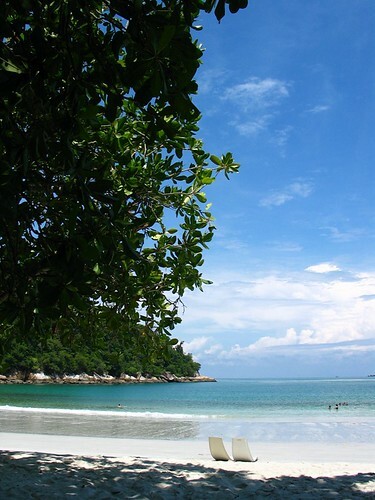 So it’s music to my ears to discover that three nights on the dreamily luxurious island of Pangkor Laut off the West Coast of Malaysia are in fact within reach even for those who normally occupy the cheap seats, and I excitedly add it to my itinerary. I arrive via the hotel’s boat service through the Straits of Malacca (although for added decadence you can arrive by helicopter – I bet that's what Pavarotti did) and on disembarking, I'm utterly wowed. I've been to some hotels in my time but I can see they're all about to be relegated to mere chorus girls compared to this leading lady of a resort. The concept is ‘One Island, One Resort’ meaning the entire 300-acre island is open to you as a guest, with nature trails, pools, spa pavilions, restaurants and bars to explore - but only a small fraction of it is developed, so you have the perfect combination of pristine wilderness and impeccable service. 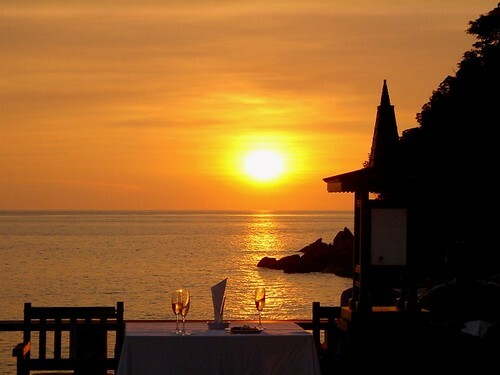 On the first night my partner and I have a dinner so idyllic we have to keep pinching ourselves – and not just because we're still a bit jet-lagged. This turns out to be just the beginning, as each experience on the island is more worthy of applause than the last. The culmination is an evening so romantic that I actually consider proposing to my boyfriend on the spot, feminism be damned. This is Dinner On The Rocks, a fine dining experience perched off the rocks overlooking the Straits while stringed instruments are strummed beside your table. At the end of the meal we're given a photograph of two bronzed, smiling and glamorous-looking people in a hand-made wooden frame. To our surprise, the couple in the photo turn out to be us. If this cheesiness occurred in a trattoria in Swindon I would cringe but here it feels magical – as though the most luxurious holiday brochure I’ve ever drooled over has come to life pulling me onto its pages, complete with airbrushing. After a few days of quietly incredible service (the staff seem to know what you want before you even know it yourself), breakfast buffets shared with roaming peacocks, and ritual massage experiences it dawns on us that the show can't go on forever and soon we'll be returned kicking and screaming to the warts-and-all real world. But it’s not over ‘til the fat lady sings and so we luxuriate in a few more outdoor power showers under tropical palms, try water-skiing on calm waters and have some final decadent cocktails by the infinity pool – brought to us by staff with whom we're now on first name terms. We then reluctantly watch the curtain fall on the best part of out trip. I can see why this place suited the world’s best tenor, but it’s well worth saving up a few tenners of your own to experience it – even if it is just for one night only. 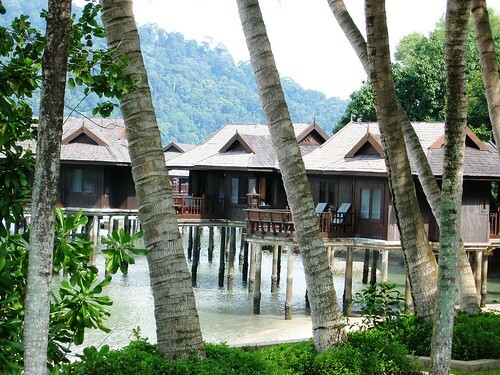 Ready to wake up in Pangkor Laut? Give our consultants a call on 0208 045 4186 or visit our website and let the dream holiday begin. To read more about Jaillan's journeys visit her blog, Savoir There, or follow her on Twitter.